Coach regularly airs on Antenna TV weeknights at 10pm ET/ 7pm PT. Nickelodeon's serialized live-action show I Am Frankie returns on Monday, Sept. 10, at 8:00 p.m. (ET/PT), continuing the story of Frankie Gaines (Alex Hook), a cutting-edge, experimental android who looks like any other human girl, but harbors a big secret--she functions as a high-tech computer with internet access, extensive memory and more. I Am Frankie will air Monday -Friday at 8:00 p.m. (ET/PT) on Nickelodeon. 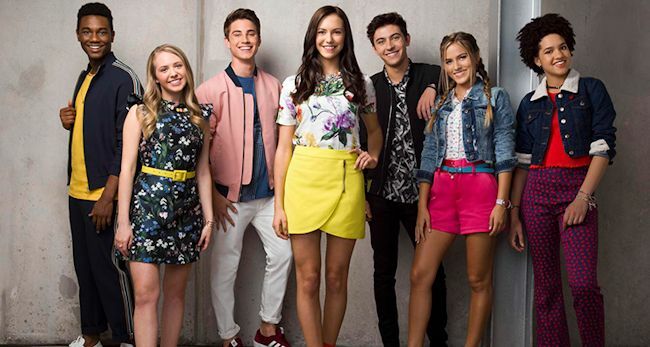 The series will air globally across Nickelodeon's channels and branded blocks in 170+ countries and territories. In season two, Frankie has finally acclimated to teenage life at Sepulveda High with the help of her best friend Dayton (Nicole Alyse Nelson) and their tight-knit group of loyal confidantes. However, things quickly become complicated when a new android arrives at the school, and the world finally learns that androids exist, and the military company, WARPA (Weaponized Android Research Project Agency), returns with a new threat. Throughout the season, Frankie aims to keep her true identity a secret, while protecting her family and friends and attempting to live a normal life. Ahead of its season two debut, Nickelodeon will air a one-hour I Am Frankie special on Saturday, Aug. 11 at 8:00 p.m. (ET/PT), where Frankie goes head-to-head with Eliza, another android who has been out on her own and wreaking havoc on the world, in the ultimate android showdown. I Am Frankie stars Amina Alzouma ("Rachel"), Uriel Baldesco ("Lucia"), Kristi Beckett ("Makayla"), Kyson Facer ("Andrew"), Sophia Forest ("Jenny"), Mohana Krishnan ("Tammy"), Tommi Rose ("Simone"), Carson Rowland ("Cole"), and Zachary S. Williams ("Zane").